One of the best things to do in Japan is shopping. Japanese cosmetic companies offer a huge amount of beauty products which will make you feel excited but confused at the same time. You don’t know what to buy when you see thousands of products show up in front of you.In fact, Japanese skin care products are so good that I can come up more than 100 products if I have enough money and luggage space. 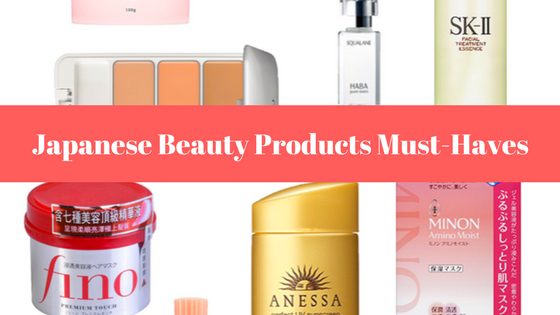 However, if you only want to buy a few of them, this list of Japanese Beauty Products Must Haves may give you some advice. This Canmake finish powder is one of the best finish powders in Japan. It is affordable with pretty packaging. It offers great help to absorb your extra sebum and keeps your make-up clean and fresh all day long. The normal routine of this product would be BB cream/foundation and then finish powder.The powder itself is very delicate and comfortable which will be invisible on your face. As I said in my review, Albion Skin Conditioner is the flagship product of KOSE Cosmetic Group. It has a significant effect on acne problems. If you are not acne-prone, it still can offer good support on maintaining your skin status. It comes with a kind of soap smell and brings you fresh and cool feeling when you apply it. If you are going on a long journey or preparing an outdoor activity such as surfing, this Anessa sunscreen will definitely be your good choice. 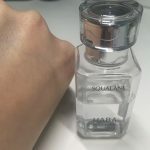 “Aqua Booster” is their high technology which will form a strong film on your face and make sure the protection will not be weakened when you are sweating or in the water. In addition, it will not make your face greasy for the whole day. Besides, they offer different kinds of sunscreen to different needs of your skin type. You can read my detailed review here. If you want to look good, you should take care of your hair as well. This fino hair mask always stays on the top of “Cosme Rank”. If your hair is permed or you did a long time outdoor activity, don’t forget to give your hair a treatment. This Fino hair mask is effective which will moisturize, strengthen, and repair your hair instantly. Yes, you will feel the difference whenever you use it.Your hair will become soft and smooth. At last, don’t worry the price, it is cheap. A truly good Japanese face mask for every skin type. Even though it is designed for sensitive skin but all other skinned peers will love it as well. It provides you extraordinary hydration without leaving heavy-duty on your face. This moist mask is so gentle that you will never get any irritation. It is one of my favorite masks and I have used it for years. 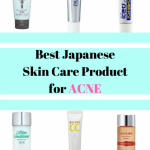 I love it and it is always on my list of Japanese Beauty Products Must Haves, read my review here. The best product for back acne. It is affordable and could last for a long time. The formula here contains charcoal which is known for its effect on killing bacteria and removing dead cells.In addition, it will help to control sebum production in some circumstances.Besides, it is still very mild so you will get any stinging sensation. Must-have concealer! You will never go wrong by using this classical IPSA one. It comes with a light blue small box which contains 3 different colored concealers. The design is so sweet that you will find the right color no matter which skin color you have.You know, the color on the face is uneven and you can use different colored concealers to adapt your skin tone. When it comes to the coverage of black circles, wrinkles and acne scars, this concealer does its job well. It works well with any foundation without leaving the visible spots on your face. Take a bean of this Moisturizing Foundation Primer and get your face tone well evened. If you don’t want to wear heavy makeup, this primer can be used as the lightweight foundation. As it said in the name, it is moisturizing and easy to absorb. It has a very sheer coverage that can change your look naturally. 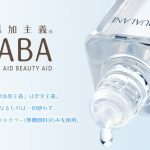 The most popular face oil in Japan. I love it and always put it in my kit! It is safe because squalane is the property that human beings can produce by ourselves. You will feel the face turn to be soft and hydrated after you apply it. It absorbs fast and you can mix it with your toner or your moisturizer. The texture is watery and lightweight that you can even use it in Summer. You can read my review here. If you want to find a good cleanser to use in the morning or you have interest in AHA cleansers, this Freeplus mild soap will never let you down. It is fragrance-free and suits for sensitive skin. The ingredients contain glycerin, potassium cocoyl glycinate which helps to maintain your moisture level. What’s more, it can last for a long time and it is not expensive. An effective cleansing balm with a pleasing rose scent. A lot of people said it was their best makeup remover used ever. The texture is solid but will turn to be liquid when it contacts skin. This lovely pink cleansing balm eliminates all the makeup and leaves your skin clean, fresh and moisturized. Some cleansing oil will occur acne and pimples but this one will not. 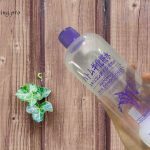 If you find a cleansing oil that truly removes all your residues even the water-proof makeups, you can’t miss this Shu Uemura cleansing oil. It is designed for sensitive skin and will not cause any irritations or breakouts. In addition, despite its great cleansing performance, it also works to maintain your moisture level, leaving your skin hydrated and smooth. If you want to invest more on your face, this famous Japanese Facial Treatment is something you should have a try. It is an all-in-one toner which not only works on plumping up your skin, reducing the appearance of wrinkles but also helping to remove acne. It can do everything for your skin by using its high-tech property “Pitera”. 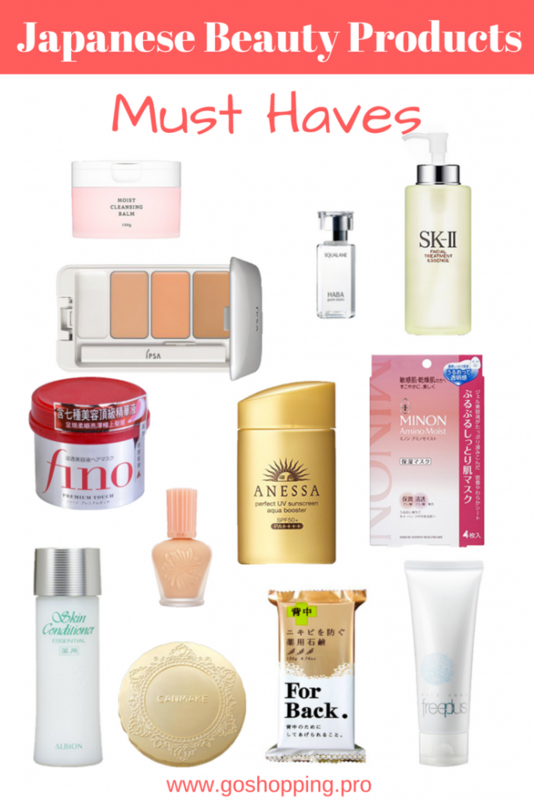 All in all, here is the 13 Japanese Beauty Products Must Haves.As Japan is so developed in the cosmetics industry, a lot of good products may not be included in this list and I will post in my later articles. If you will not going to Japan recently, you can buy online such as Amazon. Goshopping.pro is a participant in the Amazon Services LLC Associates Program, an affiliate advertising program designed to provide a means for us to earn fees by linking to Amazon.com, Amazon.ca, Amazon.co.uk and affiliated sites. Amazon and the Amazon logo are trademarks of Amazon.com, Inc, or its affiliates.